We are highly specialized in LACERA Retirement Disability attorneys. Our lawyers have filed hundreds of successful LACERA disability retirement applications and appeals. We have obtained millions of dollars in LACERA disability retirement benefits in our four decades of service to injured workers. You have dedicated your career to public service – and we are here to help you get the LACERA Disability Retirement benefits that you so deserve. Our lawyers have assisted hundreds of law enforcement officers, firefighters, teachers & school employees, administrators, corrections personnel, sanitation, transportation & airport workers and other public employees apply for disability retirement – or successfully appeal wrongful disability retirement denials. Call us today. Or fill out the quick form on the right for a FREE CONSULTATION with a skilled & experienced LACERA Disability Retirement attorney. LACERA – the Los Angeles County Employees Retirement Association – has administered defined retirement plan benefits for the employees of Los Angeles County and certain other outside Districts, since 1937. Active LACERA members who are determined by the Board of Retirement (BOR) to be permanently incapacitated and unable to perform their regular job duties are eligible for disability retirement benefits.There are two types of LACERA disability retirement: Service-Connected Disability (SCD) ; and Nonservice-Connected Disability (NSCD). 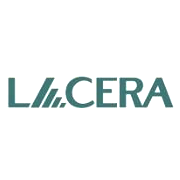 While LACERA’s stated Mission is to “to produce, protect, and provide the promised benefits” they sometimes question or deny Disability Retirement Benefits. This can be devastating to a dedicated public employee who has devoted their life to public service – only to be denied their hard-earned disability retirement benefits. Our experienced LACERA attorney have assisted hundreds of disabled school employees, police officers & sheriffs, administrators, transportation & airport workers, Sanitation employees, firefighters, corrections personnel and other public employees collect the maximum LACERA Disability Retirement Benefits for which they qualify. You must be permanently incapacitated and unable to perform your regular job duties to receive an SCD retirement allowance. Your injury or illness does NOT have to be work related. There is NO age requirement to collect LACERA NSCD Disability Retirement but you must have at least five years (60 months) of County (or County and reciprocal) service credit to receive an NSCD retirement allowance. A contributory LACERA member who becomes permanently incapacitated and unable to perform his or her regular job duties due to a work related injury or disability may receive an SCD retirement allowance. There is no age and no service requirement to collect LACERA SCD Disability Retirement. Note that a worker may NOT apply for disability retirement if they are a Plan E member, or if they have withdrawn their retirement contributions. However, all general members may be able to apply for other disability benefits under the County Long-Term Disability and Survivor Benefit Plan. Plan D members must meet specific additional conditions to apply for disability retirement. If you are unsure of your eligibility status call our experienced LACERA attorneys.